American Wild Ale - 4.2% This kettle-soured ale features blueberry, blackberry and raspberry. Double IPA - 12.8% This massive and bitter ale is brewed with 5 hop varietals and Orange Blossom Honey. Imperial Brown Ale - 8% This rich, complex and warming Imperial Brown features chocolate, nuttiness and touches of naturally-imparted vanilla, due to oak-aging. 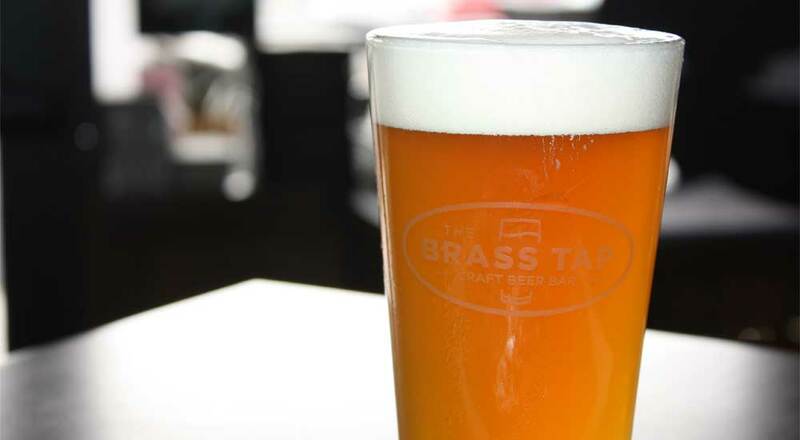 The Brass Tap Beer Bar in Mesa, AZ features over 60 taps, and offers more than 240 craft beers from around the globe in a neighborhood atmosphere that feels both relaxed and upscale. You’ll find daily specials and unique events each and every month. 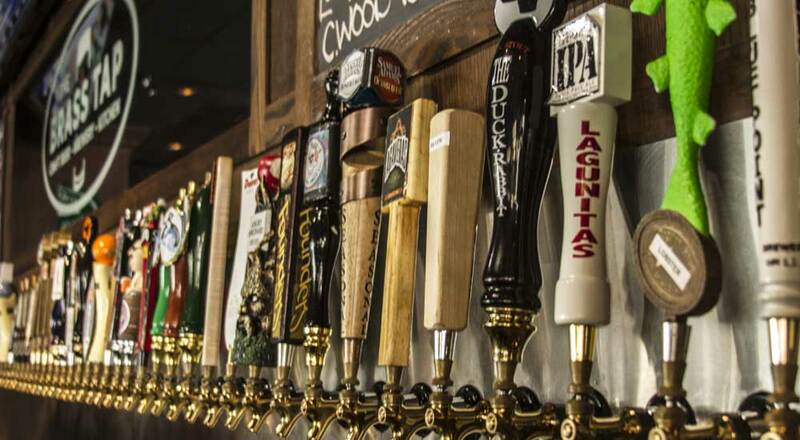 We pride ourselves on being the place with the best craft beer selection alongside a staff dedicated to your needs. Whether your party is large or small, you'll feel right at home watching the big game or simply catching up on old times. Enjoy your favorite brew and cigar while relaxing on our open air patio. Hungry? From salty to tangy to sweet, you're sure to find a flavor to complement your beer and appease your appetite on our new menu. For the entire month of April we have partnered with CAPA to raise awareness and money for Autism Research! Gilbert is hosting their raffle on Saturday the 6th from 3-7pm. The Charity Golf outing is Friday the 26th (you can still sign up! ), but our party is Sunday the 28th from 3-6pm! There will be some awesome prizes you can win and as always plenty of craft beer! Join us for an amazing day of some serious barrel aged craft beers! We will have Oskar Blues Barrel-aged Ten FIDY, Port Double Barrel-aged, Rum Double Barrel-aged, and Bourbon Double Barrel-aged ALL ON TAP! The Party is all day and will be happening along with our End of the month Autism Party and Raffle! Second Chance Brewing is our guest for a night of great craft beer and Team Trivia! Second Chance is new to AZ so lets welcome them with some love! 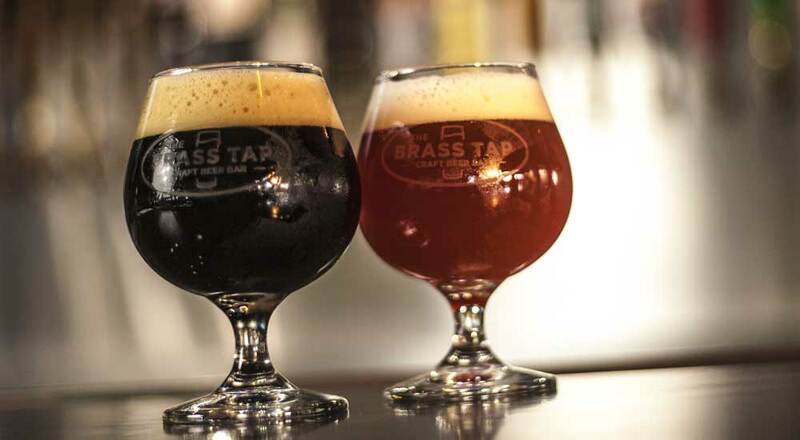 We will have 3 amazing beers on tap and some cool giveaways! Team Trivia starts at 7pm, play for Free and win prizes! We send off our BOM, Founders, with style and with CBS!!! If you haven't had Canadian Breakfast Stout now is your chance! This beer won't last long! There will be cool giveaways and plenty of craft beer! We will need help finishing off the rest of the Founder's beer to make room for next month! We welcome fan favorite Great Divide as our guest before team trivia! There will be 3 amazing beers, 1 maybe a VERY special keg! Stay tuned for details! Great Divide always bring their best and there may even be a Yeti sighting!